The newly renovated Centurion Conference & Event Center offers strategic design and versatility that makes it an ideal setting for your next social event. Our multi-functional and elegant event spaces can comfortably accommodate grand occasions and intimate gatherings of up to 800 guests. The venue design features include a beautiful modern interior, an abundance of flexible space, soaring ceilings, sophisticated touches, state-of-the-art technology, complimentary wireless throughout, and exceptional service staff that will make your guests feel wined and dined. 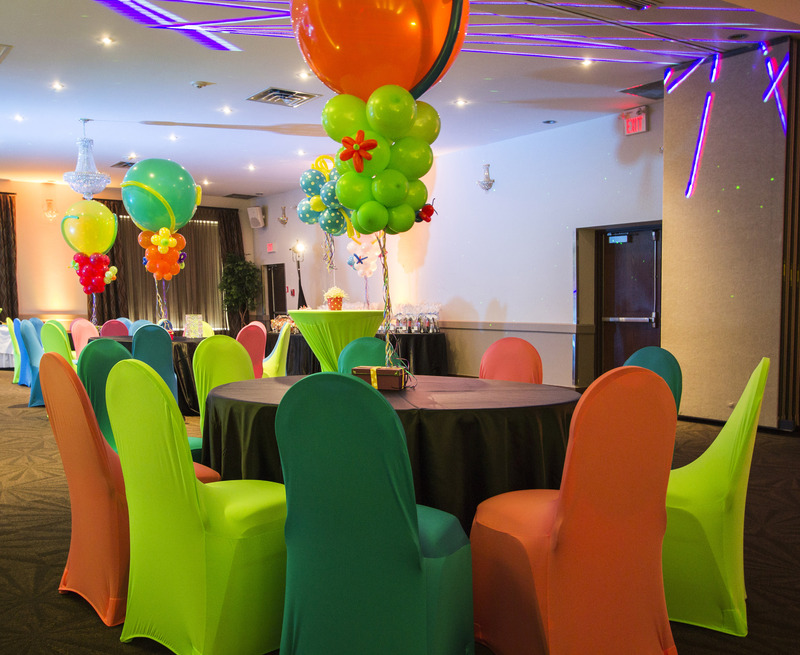 No matter what style of event you’re throwing — a gala, Christmas or birthday party, anniversary, family reunion, or networking mixer — Centurion is the perfect venue for your next social event. It starts with our event staff. They’ll take the time to understand the goal of your event and your specific needs, and then they’ll help you execute your plan with precision. Then our experienced and enthusiastic floor staff will provide you and your guests with the personal attention needed for your function to be a success. Our in-house catering team provides the highest level of service and delectable cuisine. Our Executive Chef creates fresh, high-quality, homemade cuisine fit for any social event. With a variety of menu options and packages, it’s simple to find the perfect items to appeal to all tastes and budgets. Please see our Food & Beverage page to explore our menus. The Centurion Conference & Event Center has all the state-of-the-art technology that you need. We provide free WiFi throughout, in addition to several Apple TV’s, UHD and 4K TV’s, and a built-in PA system. And for more advanced needs, we use Advantage Audio Visual Rental Ltd. who can arrange large screen projection, sound systems, screens of all sizes, camcorders, and more. We’ll even make the arrangements on your behalf! Our convenient location in the city of Ottawa makes us easily accessible. Located in Nepean, you’ll find an OC Transpo route right outside the door and the Ottawa International Airport, hotels, and major highways and roadways just minutes away. We also offer ample free on-site parking for all of your guests. When you’re looking for the perfect social event venue, our award-winning events centre will provide attention to detail, exceptional food, professional service, and sophisticated hospitality in a breathtaking setting. From simple to elegant, our professional staff at Centurion will make your social event one to remember.